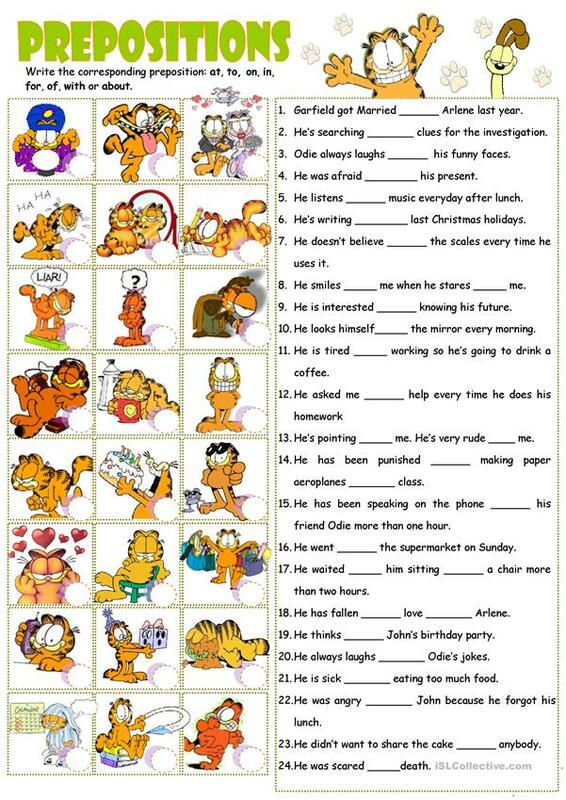 ss read the sentences and write the corresponding preposition: at, to, on, in, for, of, with or about. then they match the sentences with the pictures on the left. This downloadable handout is meant for high school students and elementary school students at Pre-intermediate (A2) and Intermediate (B1) level. 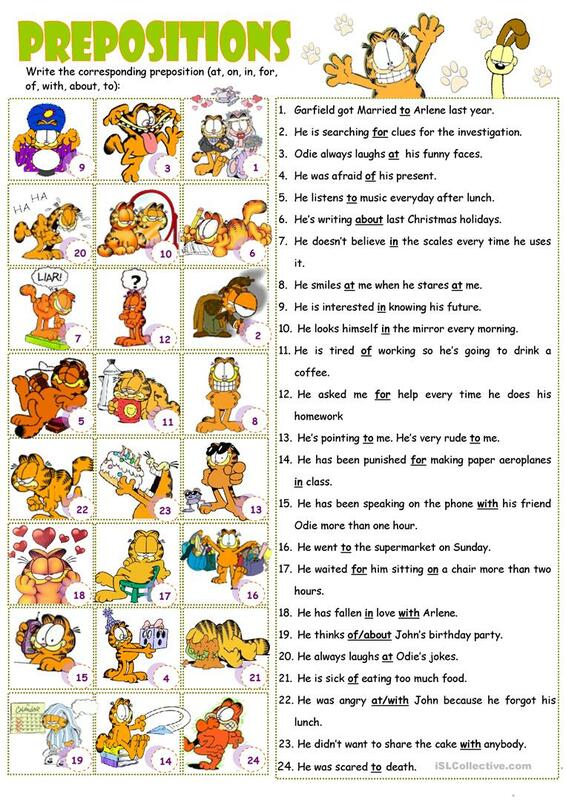 It is a useful material for practising Prepositions: Phrase prepositions (e.g. by means of) in English.